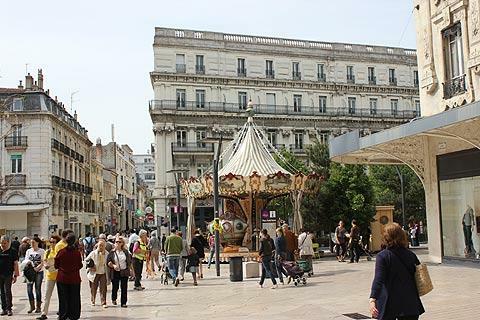 Capital of the Drome department, Valence is a sleepy city overlooking the Rhone River. An hour from Lyon and Grenoble and in close proximity to vineyards producing Crozes Hermitages, St Joseph and St Peray wines, the town is an established stop off for wine tours of the region. 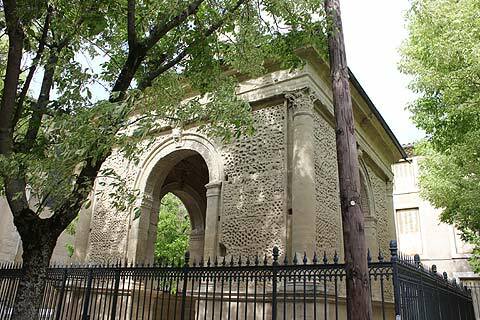 The much-loved Kiosk De Peynet stands on the Champ de Mars and is one of the highlights of this small city - and a good place to start your visit to Valence. This ornate bandstand with beautiful views of the decorative gardens and fountains of Park Jouvet below, the Rhone and Chateux-Crussol high up in the distance inspired the artist Peynet to base his romantic love story here. 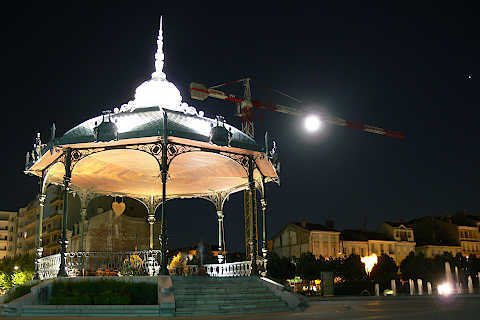 The Peynet Bandstand is listed as an historic monument and has come to symbolise Valence. This is at least in part due to the bandstand's fame in the first of Raymond Peynet's 'lovers' series where a musician plays the violin in the bandstand and a girl listens to him. 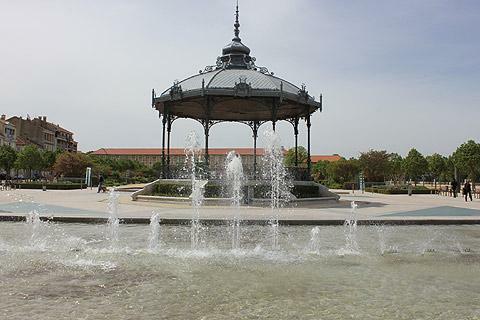 The bandstand is found in the Champ de Mars: both the Champ de Mars and Parc Jouvet are on the edge of Valence town centre and are a great place for a picnic. The Jouvet Park covers 7 hectares and has more than 700 trees as well as flower beds, fountains and canals - pretty good for a town centre! For those interested in more historical sights, Valence old town boasts the Maison de Tetes, a 16th century house whose facade, corridor and inner courtyard are decorated with sculped figures including heads of Ancient Greek nobility and, on the facade, the winds, time and fortune as well as law, theology and medicine are represented..
Close to the Champ de Mars in the heart of the historic centre you can see the Cathedral Saint Apollinaire which was built in Romanesque style in the 11th century (though a large-scale reconstruction took place in the 17th century). In the cloister of the cathedral a funeral monument was erected in 1548 built of sandstone in the shape of a triumphal arc. Called the "Pendentif" this funeral vault was one of the first monuments to be listed in France after the "Monuments Historiques" commission began in 1840. A walk along Grand Rue and its surroundings takes in all of these sights and also offers a chance to view the quaint cafes and boutiques that line the narrow medieval streets. Enjoying a leisurely lunch in the sunny market square is a must and wide selection of cafes and bars are scattered throughout the centre. Despite it’s large student population, Valence nightlife is notably quiet. 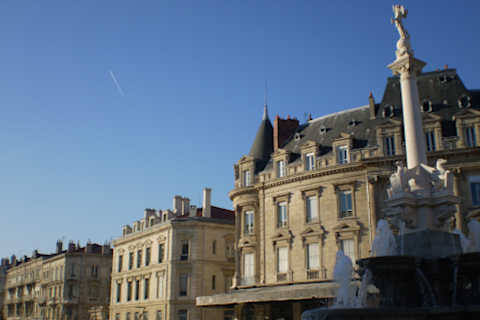 However, from the more traditional (if touristic) restaurants around Place des Clercs serving Provencal dishes and Drome specialities, to the more varied tastes such as Greek, Indian, Tex Mex and Chinese around Place de la Pierre and Place St Jean, there is always something to satisfy your apetite. 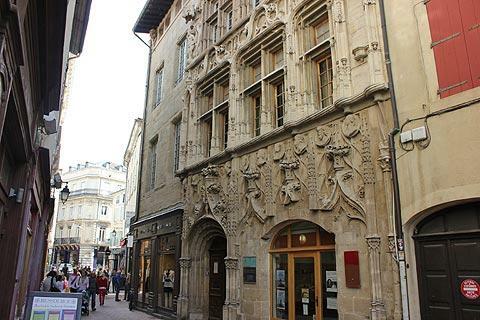 The Maison des Têtes was built in the 16th century at a time when High Gothic style was giving way to the Renaissance style. The house is named after the many heads sculpted on its facade, inner courtyard and interior. 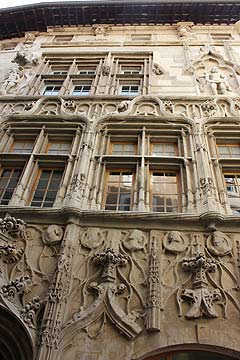 On the facade the figures represent the winds, fortune and time as well as medicine, law and theology. On Place Saint-Jean the Church of Saint-Jean has a beautiful 12th century bell-tower and some interesting capitals. 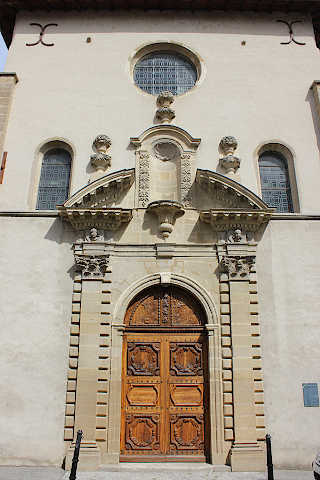 Other churches to see in Valence are the Cordeliers Chapel and the Capucins Chapel. 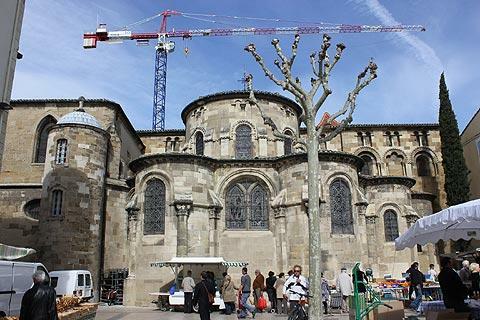 Near to the Church of Saint-Jean there is an attractive covered market, built in metal. The Dupré-Latour mansion, built in the 16th century, has an Italianate staircase and lintels decorated with sculptures of Greek myths. 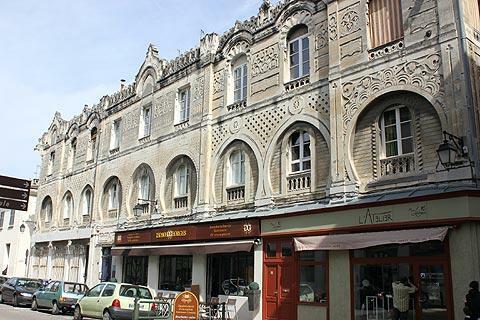 Another lovely house to look out for is the Draper's house on Rue André Lacroix which was built in the 13th century. Its ground floor would have been for production and sales and the upper floor used as accommodation for the craftsmen. The Fine Art Museum of Valence is housed in the former Bishop's Palace and has an important collection of Hubert Robert drawings. There is also a collection of fine art from the 16th century to today. 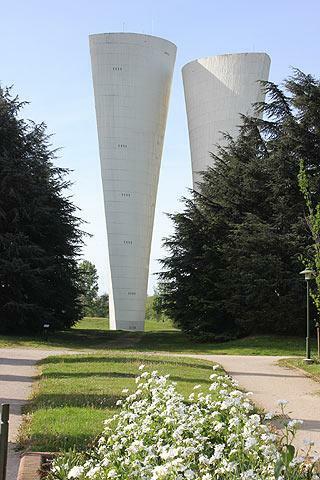 In the middle of Jean Perdrix park on the edge of town there are two very distinctive water towers. These were designed by the Greek sculptor Philolaos and are huge asymmetrical, tall, curved towers. If you like boats Valence has the number 1 river marina in France. As well as the marina there are sports facilities and a botanic path and lots more. Finally, no trip to Valence is complete without sampling the tasty tradition of ‘The Swiss’. Found in almost every bakery of Valence, this sweet orange-flower flavoured pastry created in the shape of a Swiss guard commemorates their presence in Valence in the 1800s as the guardians of the remains of the exiled Pope Pious VI. For those in search of something more unusual, a short journey should be made to the surroundings of Valence to the Jean Perdrix park. At the centre of this large green space are the two giant ‘Water Castles’, standing at over 50 metres above the water. These award winning examples of 1970s architecture are one of the lesser known features of Valence. In addition, the Vercours, the mountain range overlooking Valence and the entry point to the French preAlpes, contain a whole host of activities to explore. 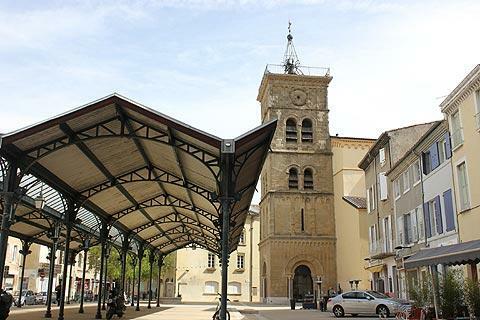 We always like to try and visit attractive villages wherever we go in France, so suggest that you visit Mirmande (one of the most beautiful villages of France) to the south of Valence or Desaignes (listed as one of the Ardeche Villages of Character) to the west.